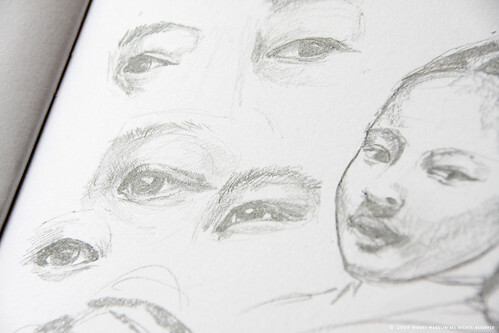 sketchbook studies of faces from various photo reference. 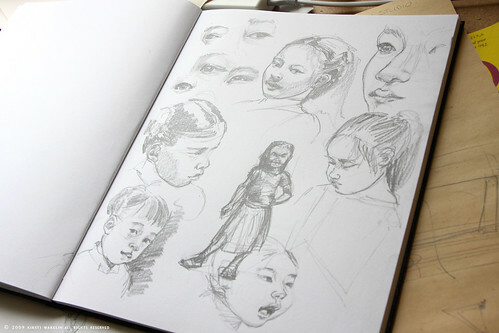 The drawing of the little girl in the middle looks slightly less evil in the real sketch than in the photo of the sketch. Slightly. I really love these sketches. The eyes are amazing. I’m a sucker for a good drawing of an eye though!